Is personality "in the genes"? Do our infant experiences matter, even though we can’t remember them? Why do patterns repeat within the lives of individuals and families? The Stages of Life provides answers to these and other intriguing questions,andpresents a refreshingly readable introduction to human development from birth to death. The book synthesises those theories and research findings that are most helpful in explaining the paradoxes and complexities of human personality and human problems. how some problems tend to develop at particular stages of the life course, from early childhood through to midlife and old age. 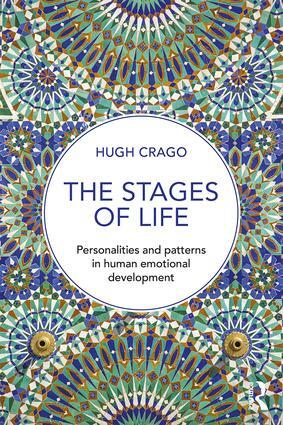 Throughout the book, Hugh Crago relates both ‘nature’ and ‘nurture’ to the challenges individuals must face from early childhood through to old age. He draws attention to often-ignored clinical findings about ‘cross generational repetition’ in families, and shows how recent developments in epigenetics may supply an explanation for such mysterious phenomena. Written without jargon, and full of new and provocative ideas, the book will be of great interest to students of counselling and psychotherapy, and it is also has much to offer the general reader. With its engaging examples from history, literature and the author’s own life, readers will find that The Stages of Life illuminates puzzles in their own lives and opens a road to self-acceptance. Hugh Crago is Adjunct Fellow in the School of Social Sciences and Psychology at Western Sydney University, Australia.